If you’re thinking about starting a project on your Acura vehicle, it’s important to make sure you have the correct parts and tools for the job. Here at Acura of Bedford Hills, we have everything you need to complete any do-it-yourself project on your Acura vehicle quickly and correctly every time! We also offer a number of different accessories to allow you to customize your Acura vehicle to your liking and help you further stand out on the roads around Bedford Hills. Whether you know what it is that your vehicle needs or you need assistance diagnosing the problem, we have a team of knowledgeable experts in our parts center that can help you find the correct parts and tools to complete any job. If there’s any project that you don’t feel comfortable with embarking on, we welcome you to bring it into our service center and our team of expertly trained Acura technicians will diagnose and fix the issue in a timely and convenient fashion. For all of your Acura parts and accessory needs here in Acura Hills or near Chappaqua, NY; Yorktown, NY; Danbury, CT; Mt. 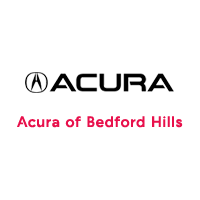 Kisco, and White Plains, we welcome you to come find it all right here at Acura of Bedford Hills within our parts center today!